They can cause eye infections: Nobody’s perfect, so it can be hard to follow all the steps you should be taking to keep your contact lenses clean and sanitary. Some common mistakes could make you vulnerable to an eye infection. First, you should be washing your hands with soap and water before touching your lenses, but this can be difficult in some situations, like if you’re in the middle of the woods on a camping trip. Avoid reusing or “topping-off” the contact lens solution in your case because you could end up soaking your contacts in unsanitary liquid. And while it might be tempting, don’t try to extend the wear of your daily or monthly contact lenses. They can scratch your eye: If your contact lenses are damaged or if you wear them for too long, you may be at an increased risk of the lens scratching your cornea. Also, if you have a corneal abrasion from contacts, sand, a makeup brush, or another source, wearing your contact lenses over the scratch can potentially slow the healing process. They can deprive your eyes of oxygen: We get it, sometimes you take an unplanned nap or drift off unexpectedly during a late night. But there is a reason why you aren’t supposed to sleep in your contact lenses. When you sleep in your contacts, oxygen has a hard time getting past your closed eyelid and the lens itself. Your cornea needs oxygen, so restricting the flow of it can cause complications. Overnight contact lens wear can also lead to infections. Even if your lenses are FDA-approved for “extended wear”, it is still recommended that you remove them for at least one night after every scheduled removal date in order to give your eyes a rest. They can make your eyes dry: If your contacts make your eyes feel irritated, you may be suffering from contact lens-induced dry eye. Some people would benefit from switching to a different type of lens to alleviate the symptoms. However, you may also be experiencing an adverse reaction to your contact solution. According to the American Optometric Association, more than 45 million people in the United States wear contact lenses. They can be an effective method of correcting nearsightedness, farsightedness, and astigmatism without changing the way you look like glasses do. Most of the risks associated with contact lenses can be traced back to user error. It’s true that some people find that taking care of contact lenses properly is inconvenient. If you want to avoid the hassle of contact lens maintenance, then LASIK may be a great option for you. 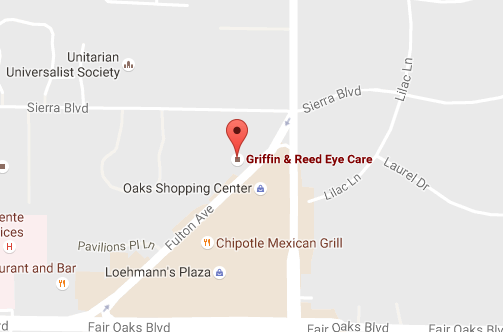 At Griffin & Reed Eye Care, we stand by the results of the LASIK procedures that we perform. We offer 20/20 Vision From Your LASIK Surgery Or Your Money Back. When you schedule your LASIK consultation, our experienced laser vision correction surgeons will openly discuss your options for vision correction and determine if LASIK may be right for you through a thorough examination. If you are considering LASIK as an alternative to contact lenses, please schedule a consultation today by calling 916-485-2020. 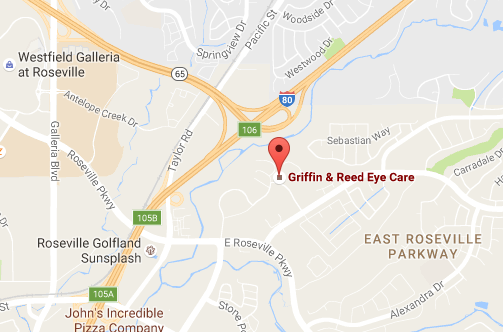 We happily welcome patients from across our Northern California community at our Sacramento and Roseville locations.